New Year - New Work! I have been working with TKP as an assistant, digi-tech, and social media director for a few years now. JD, Nikki, and Kevin recently collaborated with food stylist Melinda Hutchison on this drinks video. Nikki: As a photographer one of my goals is to spend time testing whenever I get the chance to keep my creativity fresh and learn new techniques. When JD and I decided to do a collaborative project I was excited to see how we could bring our two styles together, mine being more editorial and his more graphic. Through the process we tried a lot of different things to see what might work best. In the end we decided on keeping the drinks hero, without any additional props and with a little more editorial looking background. I think my favorite part of working together was seeing how great the final product turned out in the end. Sometimes as a photographer it is easy to get into a routine or style of how you shoot. It is really refreshing and fun to step outside your box and switch up the creative process. I am definitely looking forward to what new ideas we can come up with together for future collaborations! JD: I've been with TKP for around three years now, and immediately knew when I was brought onto the team that it was a good fit. As Nikki mentioned, our styles are creatively different. This project gave us a chance to learn from each other. Nikki and I have worked side by side on many projects, and have become experienced in shaping a variety of our clients needs, but have never tested together. Bringing several creative visions together has its challenges, but we couldn't be happier with the end result. Nikki and I look forward to continuing to do more projects like this in the future! Kevin: Editing video adds a new facet to my typical role as digital tech at TKP. It was very exciting to work together with Jd, Nikki, and Melinda on this motion project. Taking the music that JD selected and edited and incorporating it together with the video clips into one cohesive story was a very fun, creative challenge. We really combined our strengths on this project and I think the final outcome speaks for itself. I am really looking forward to working on many more motion projects that we have planned in 2018! 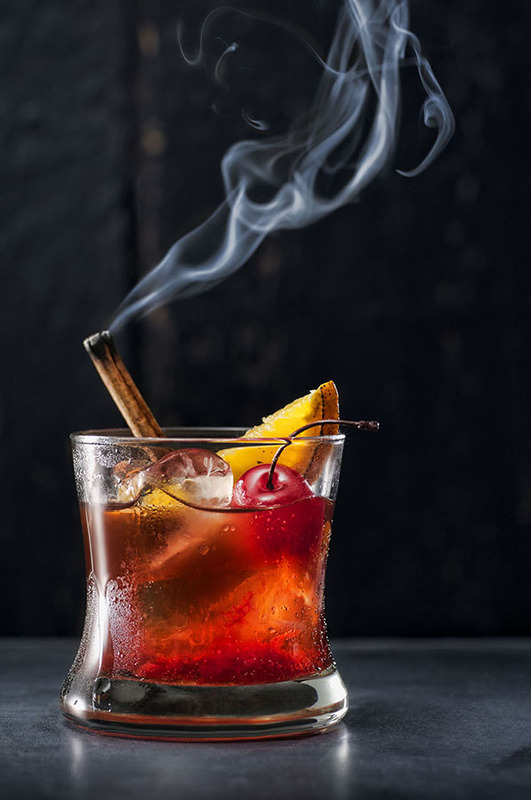 The Old Fashioned is an all time classic cocktail. 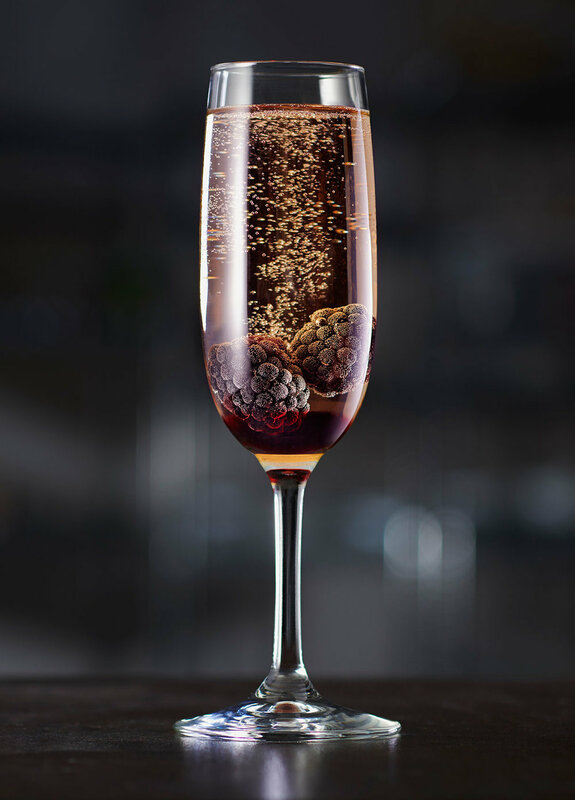 It's simple ingredients combine for a distinct taste. After buying a Sous Vide immersion cooker a couple of months ago and being inspired by several cocktail infusion recipes I found browsing around the internet, I paired up with food stylist Jim Rude for a photoshoot. The theme? 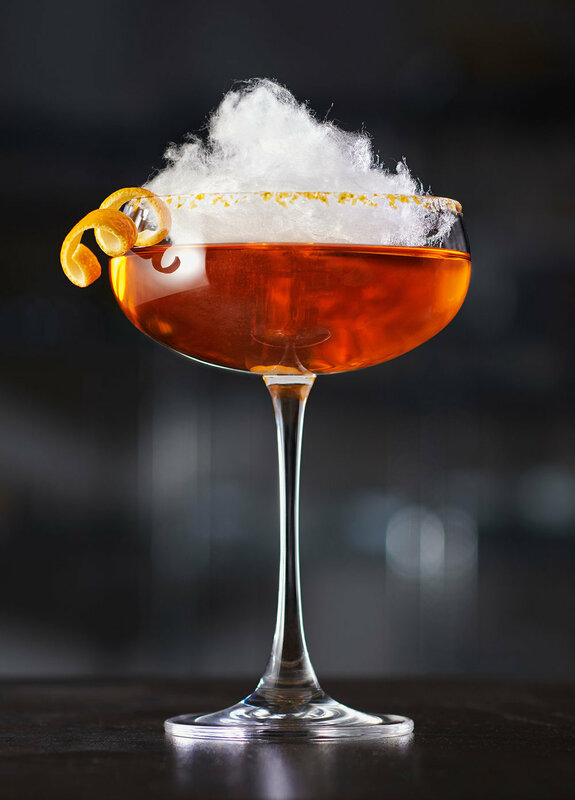 A new take on the classic old fashioned cocktail. To create the infusions I pulled out some mason jars and filled them first with bourbon. Next, we added the infusion ingredients. In the first jar we put roasted thai chili peppers and grapefruit zest. The next jar contained a cinnamon stick, Luxardo cherries and cherry syrup. If you've never tried one of these cherries it is a MUST. These are not your run of the mill red number five maraschino cherry. They are a product of Italy and cost a pretty penny, but taste amazing! Our other jars we filled with water to make two flavored syrups. Both syrups started off with brown sugar and lemon zest. Next we added fresh ginger pieces to one jar and rosemary sprigs to the other. After infusing the bourbon and syrups in the immersion cooker for two hours at 145 degrees, we let the liquids cool. Now it was time to start mixing! Here is where you can get creative and mix the cocktails however you like. 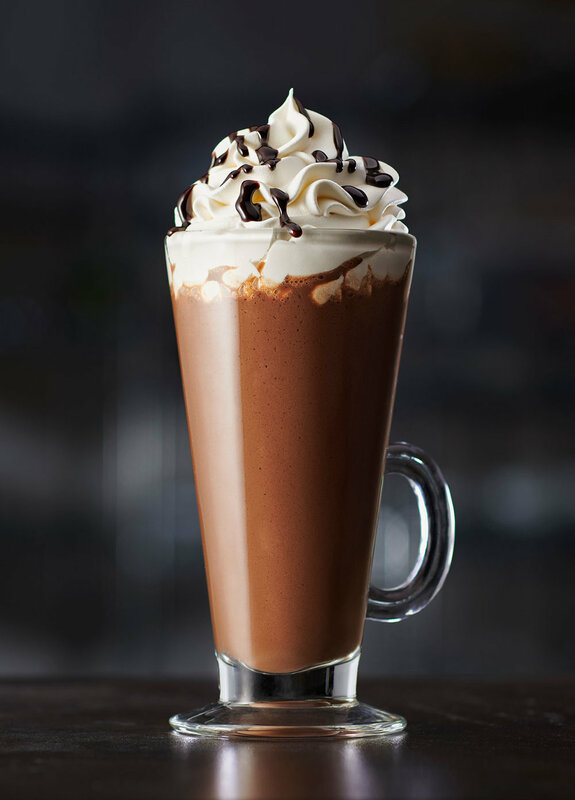 It's all about trying different flavors until you find the perfect mix of flavors. On the scale of fun testing photoshoots, this one is defiantly at the top of my list! Muddled fresh blackberries with ginger syrup, bourbon, bitters, and a splash of soda over ice. 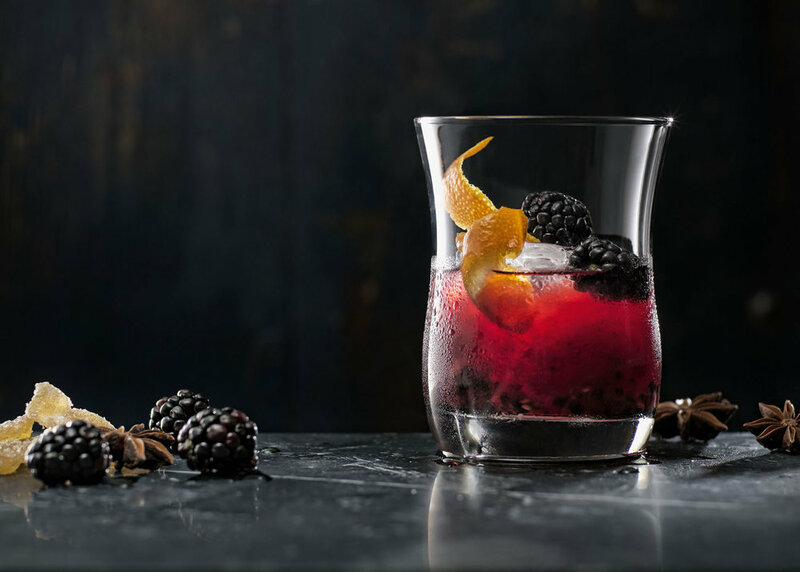 Topped with blackberries and an orange twist. 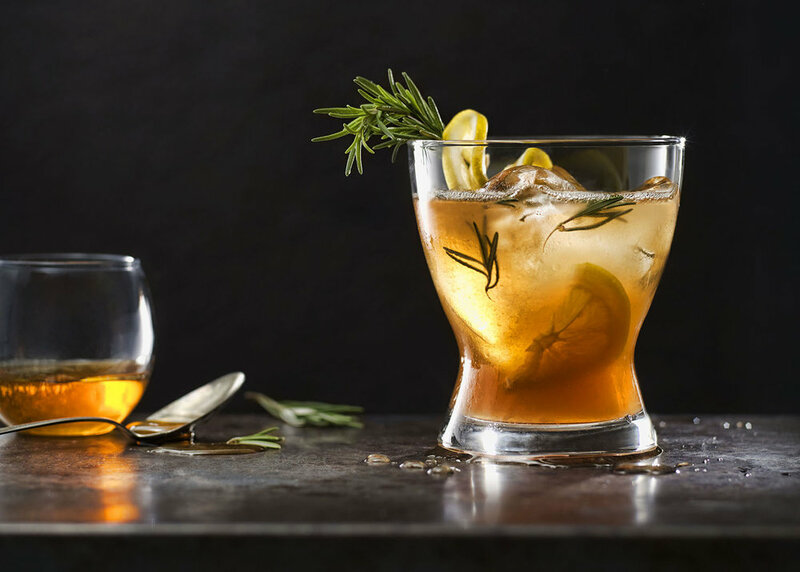 Your favorite bourbon mixed over ice with rosemary infused syrup, honey, bitters,, and soda. Garnished with a lemon slice and fresh rosemary sprig. 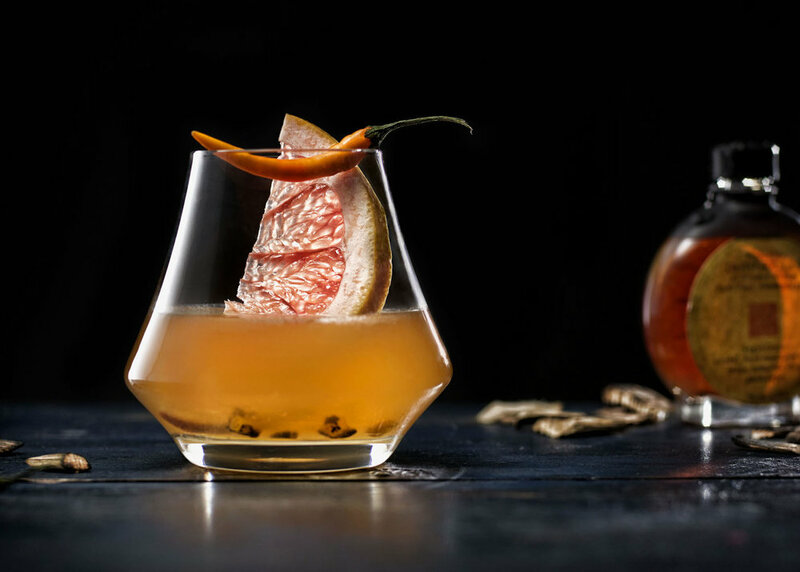 Thai chili & grapefruit infused bourbon chilled and garnished with grapefruit and a chili peper. 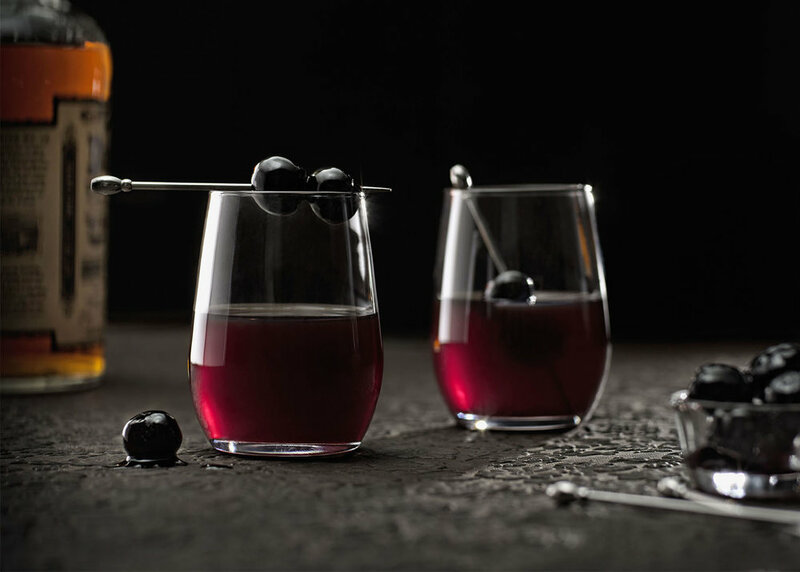 Cinnamon and cherry infused bourbon served at room temperature with Luxardo cherries.